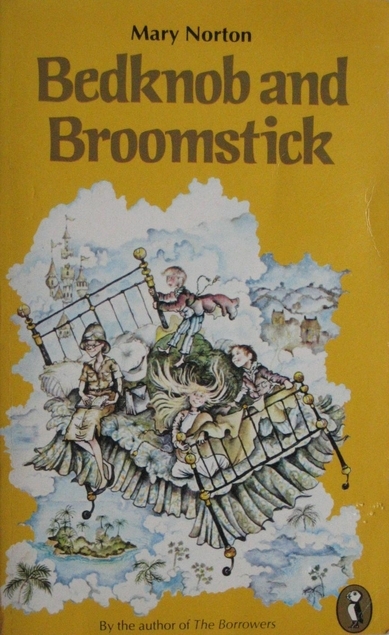 Until I picked this book up in an Aberdeenshire secondhand bookshop recently I had no idea that Bedknob and Broomstick had been written by Mary Norton (of The Borrowers fame). It was first published in 1945 and although I’ve only seen short excerpts of the Disney film Bedknobs and Broomsticks, I think it’s fair to say that it must be very loosely based on the book. It was obviously written in wartime although it doesn’t really come into the story, the three children Carey, Charles and Paul have been sent to live with an old aunt who lives in Bedfordshire. This must have been a normal experience for many children in those days as fathers were off in the services and their mothers were also doing war work. It fits the perfect children’s book scenario, get rid of those annoying parents. The house is old and square with a large hall and the children are quite intimidated by it. They’re also rather shy of their aunt and the old housemaid, but the garden is wonderful and even has a river running through it. The children have a whale of a time, they’re well behaved and all their days are alike – until they meet Miss Price. She’s an elderly lady who gets about on her bicycle, she’s very ladylike and teaches piano for a living, but in her spare time she’s a bit of a white witch. She’s really just a beginner at it and when the children find her in pain lying on the ground in local woodland it transpires that she has sprained her ankle as she has fallen off her broomstick! She obviously needs more practice. Miss Price needs the children to keep quiet about her witchcraft, the locals wouldn’t understand, so she puts a spell on Paul’s bedknob so that when he twists it the bed will wheech them all anywhere in the world – or even into the past. This book is aimed at children over the age of eight – I think I fit that description! 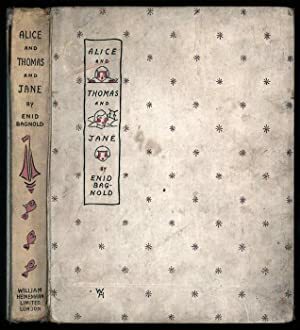 Alice and Thomas and Jane by Enid Bagnold was published in 1930 and it’s illustrated by Enid Bagnold and Laurian Jones. 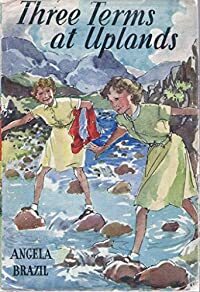 Enid Bagnold originally told these tales about three adventurous children to her own children to keep them entertained and quiet as they always wanted to do different things from each other and were often noisy and messy. Alice, Thomas and Jane get up to all the high jinks that I’m sure Bagnold’s own children would have longed to do – such as flying in the tail of a small aeroplane, hidden from the pilot of course, taking a ferry to France as Thomas did and creeping out at night to explore Smugglers’ Cave. This is a lovely and fun read involving vicarious and therefore safe adventuring, and the illustrations are charming. You can see a few of the images inside the book here. Enid Bagnold is of course better known as the writer of National Velvet. I’ve not read anything else by her but it seems she had a fascinating life, although Sam Cameron, wife of ex PM David Cameron is apparently her great-granddaughter – well nobody’s perfect. You can read about Enid Bagnold here. My copy of this book is a 1930 original and it’s bound in what I think is called buckram, it was fairly dirty when I bought it but otherwise in good condition. I’ve been able to scrub off the dirt in other books bound with buckram very successfully and it was the same with this one. They really come up well, almost like new. Sometimes the binding gets a bit sticky, then you should just allow it to dry out before having another go at it with a damp sponge or wet wipe. 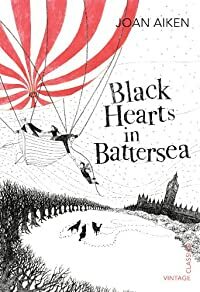 Black Hearts in Battersea by Joan Aiken is the second book in this series and was first published in 1965. This book features some of the characters from The Wolves of Willoughby Chase. Simon travels to London with his donkey, he’s determined to become an artist and has a letter of introduction. This is an alternative history, the setting is London in the 1830s, and King James III is on the throne which means that the Stuart dynasty is still on the throne which of course didn’t happen. But the Hanoverians are plotting against them and planning to grab power. There’s a group of Londoners willing to help and they’re stock-piling guns and ammunition. But people are disappearing, including Simon’s friend Dr Field. Will Simon be able to track him down? I enjoyed this one but I’m really looking forward to reading the third book in this series Nightbirds on Nantucket, which is the first one I bought, purely because the blurb sounded absolutely crazy. 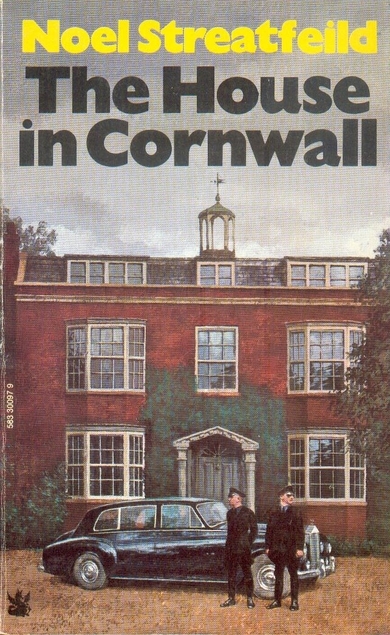 The House in Cornwall by Noel Streatfeild was first published in 1940 and was probably aimed at children aged 10 or over but I found it to be a good read. 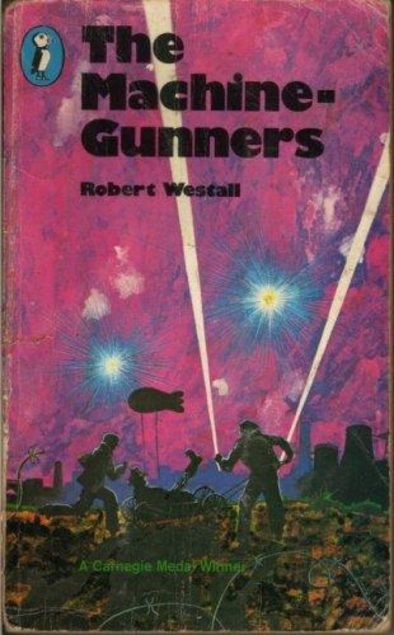 The advent of World War 2 undoubtedly galvanised many authors and inspired them to write about wartime. Streatfeild doesn’t mention the war at all, which may not quite have begun when she wrote the book but she was certainly influenced by all the shenanigans going on in Eastern Europe due to Hitler’s ‘lebensraum’ invasions. 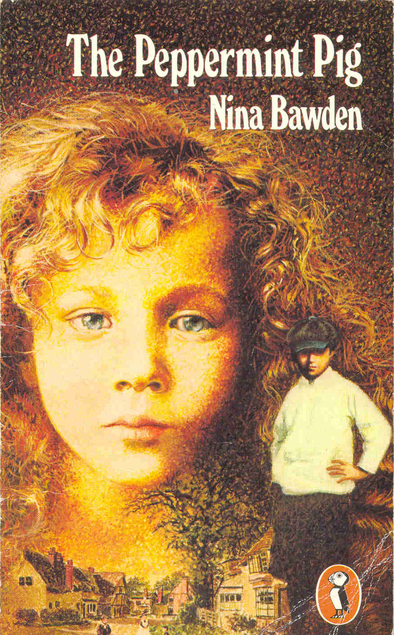 The book begins with a railway journey from Paddington Station, four siblings are travelling to Cornwall where they are going to stay with their great-uncle for a six week holiday, they’ve never met their uncle before, but they know that their father doesn’t like the uncle. It’s just a desperate family situation that has led to the visit. But when the children reach their destination they feel that they are being treated more like prisoners, there are guards in and around the house and during the night the children can hear what sounds like a child crying somewhere nearby. They’re determined to find out what is going on. There is danger, secrets and revolution in the house in Cornwall. This is a tense read and I would have loved it if I had read it as a child, it’s not at all bad if you’re an awful lot older. 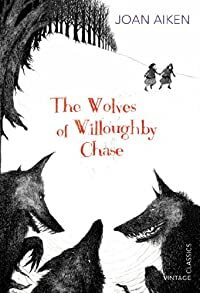 Every now and again I like to read a children’s book that I missed out on when I was a child and The Wolves of Willoughby Chase by Joan Aiken fits that bill. It was first published by Puffin in 1962 but my copy is a Vintage reprint. I suppose that there have been plans to build a tunnel between Britain and France for donkey’s years, but it still seems strange to have the Channel Tunnel mentioned in a book that was published 50 or so years before it existed. The setting though is even earlier than 1962, the year is 1832 and young Bonnie has led a charmed life, the much doted on daughter of Sir Willoughby and Lady Green. But there are changes ahead for them all as Lady Green has been ill for some time and her husband is taking her on a voyage hoping to find a cure for her condition. This means that a governess is required to look after Bonnie and the family estate, and a fourth cousin of Sir Willoughby is chosen for the job – Miss Slighcarp. None of them have ever met her before but are relying on the fact that she’s a relative of sorts and so they assume she’ll be trustworthy. It turns out though that she’s anything but trustworthy and so begins a nightmare for the whole household, including Sylvia who is a young cousin sent to Willoughby Chase, she’s a good companion for Bonnie. The tunnel has enabled wolves from frozen mainland Europe to reach Britain and it makes life extremely dangerous. But it turns out that Miss Slighcarp is even more of a threat to the young girls than the wolves are. This is quite a tense read, considering it’s aimed at children aged 9+. There are quite a few books in the series and I’ll work my way through them all eventually. 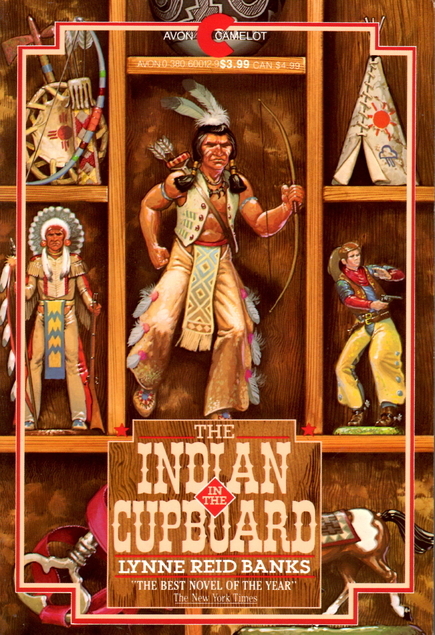 Did you read these books when you were a child – or older? Joan Aiken is the younger sister of the author Jane Aiken Hodge.